The Polo Beach condo's sleep 6 in total. Please call for very latest openings as there may be a new booking in progress. Polo Beach Club has both ocean front and Prime (on sand ) ocean front units. On Beach, adjacent to many amenities (stores, restaurants, activities, golf, tennis,...). Private chef available. Well maintained, managed by high end Concierge service. 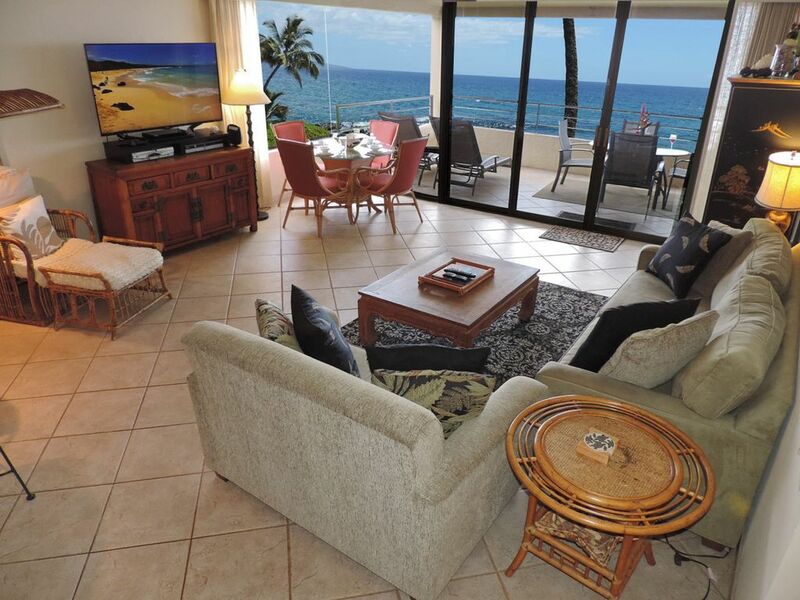 This Non-Smoking, vacation condo features all amenities and is fully appointed. On the sand! Garage, 2-elevators, air conditioning, concrete construction, private lanai, beach front pool and spa. E-mail for complete details on sleeping arrangements (see below under 'Links to more information'). Nearby at hotels and gym in Kihei. 2-Elevators, on the sand and on the Wailea Beach path, near Fairmont Kea Lani, Four Seasons, Grand Wailea. Snorleling, ocean sports. Wailea Golf across street. Full Air Conditioning, private lanai, concrete construction (minimizes between-unit noise), parking garage under.